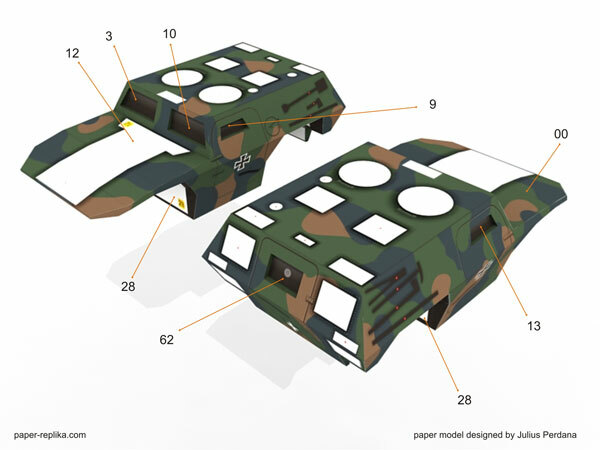 Zobel Light Reconnaissance Vehicle Paper Model	. You can use black marker pen to color white surfaces on each sides of every parts, color those white surfaces before you glue each parts. 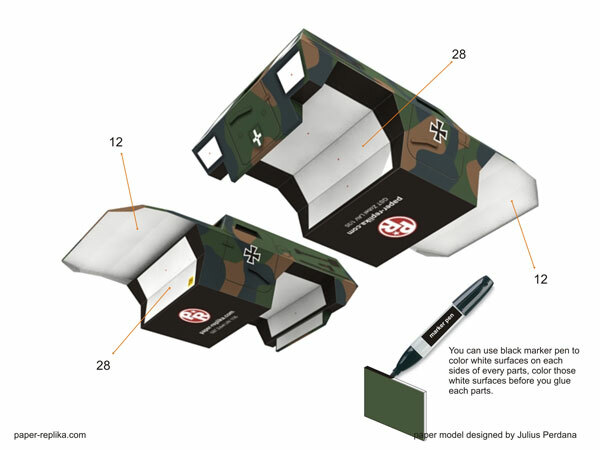 I think the use of black marker is a must, unless you already happy with white stripes all over your model. Julius Perdana [a.k.a Julescrafter] is a self-taught graphic designer and 3D modeler of architectural animation. Despite a background in architecture, he began his career as a graphic designer for a printing company in 2001. 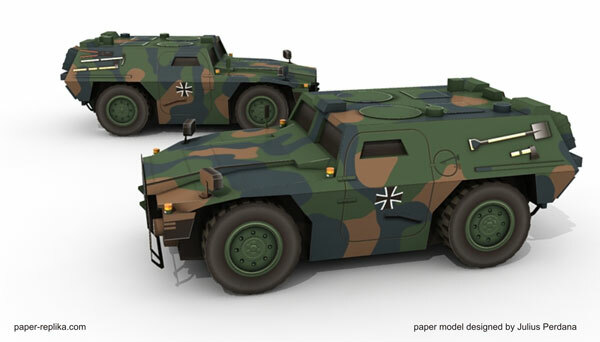 Having co-founded two small graphic design companies he now fully works as a papercraft artist and an online publisher. 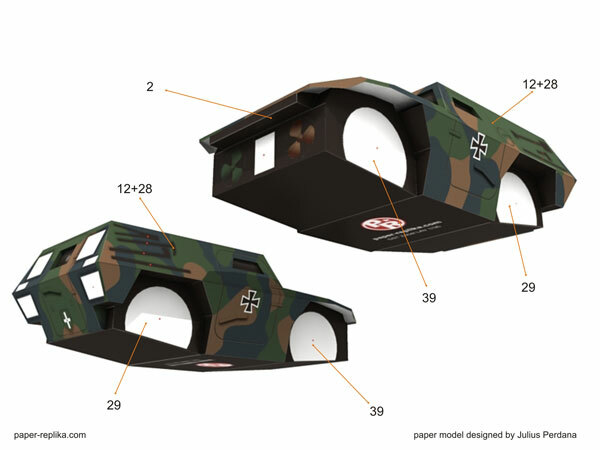 Paper modeling is his hobby since he was a kid back in 1992. Copyright © 2019 Paper Replika. All Rights Reserved. Designed by JoomlArt.com. Joomla! is Free Software released under the GNU/GPL License.